President Barack Obama has rejected an application to build the Keystone XL pipeline from Canada. Speaking from the White House, Barack Obama said it would not have served the “national interests” of the US. The pipeline’s construction has been hotly disputed for seven years, with environmentalists saying it would do irreparable damage. However, Barack Obama said the pipeline had taken on an “overinflated role” in the climate change debate. The proposed pipeline would have run 1,179-miles taking 800,000 barrels of oil a day from Alberta, Canada, to Steele City, Nebraska. Barack Obama said it would not have lowered petrol prices, nor created long-term jobs affected energy dependence. “The pipeline would not make a meaningful long-term contribution to our economy,” he said. Republican presidential candidates condemned the news, with Jeb Bush calling it an attack on the US economy. In February, the Republican-led Congress voted to begin construction immediately, but Barack Obama vetoed the bill to await environmental reports. The decision comes as world leaders plan to meet in Paris at the end of the month to finalize a major global climate agreement. The agreement, which could be reached at the meeting known as the UN Climate Change Conference or COP 21, would be a major part of the president’s legacy. 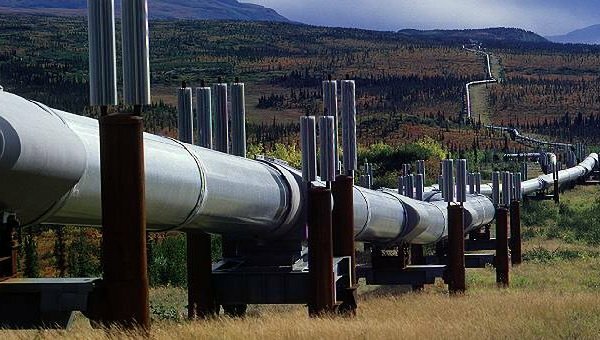 While the project is dead for now, the pipeline controversy will not end any time soon. Proponents will almost certainly challenge the decision in court and if a Republican is elected president in 2016, construction could yet be approved. The Keystone XL pipeline also generated controversy outside of Washington, souring relations between the former Canadian PM Stephen Harper and President Barack Obama. President Barack Obama said he had spoken to newly-elected Canadian PM Justin Trudeau and they agreed the issue of climate change trumped any differences of opinion over the pipeline.